Linux Hosting World Review 2019: Is Linux Hosting World a Good Hosting? Linux Hosting World is an Indian technology company that specializes in web hosting, domain registration, and business email hosting services. They’ve done well for themselves so far, but they’re a relatively new player to the web hosting scene and aspects of their operations need to be polished further. Founded in 2008, Linux Hosting World is a medium-sized Indian web hosting company with a global outlook. 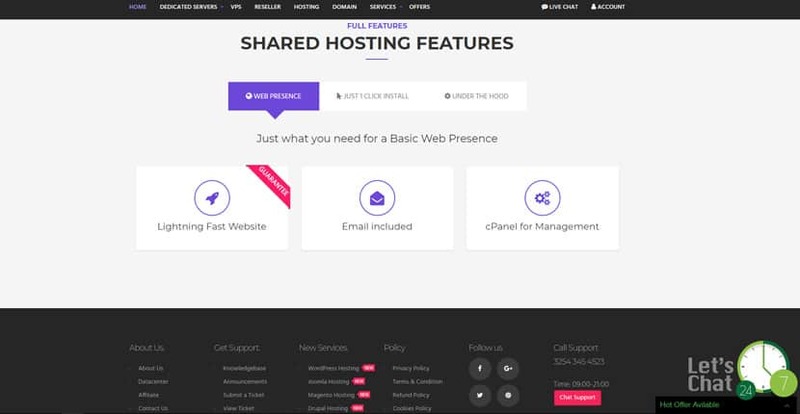 They provide low-cost web hosting, domain registration services, and premium email hosting services to customers from over 96 countries around the world. They’ve done well for themselves so far, but they’re a relatively new player to the web hosting scene and aspects of their operations need to be polished further. If you have a startup or personal blog, their Linux Basic shared hosting plan might be a good fit for you. It comes with 1GB storage and 50GB monthly bandwidth, along with the Softaculous app installer. Small to mid-sized businesses should consider their Linux Advanced or Linux Professional plans, as these give you much more storage space and bandwidth. There was one thing I was rather put off by: Linux Hosting World’s website doesn’t appear to have an SSL certificate of their own, and parts of their website are written with placeholder text. This doesn’t bode well for the security and upkeep of their customers’ websites, frankly. Further, they don’t support anything beyond PHP 5.6, which was disappointing — most good hosting providers would support PHP 7 at minimum. They do have an uptime guarantee of 99.9% buried in their Terms of Service, but you’ll have to write in to claim this — it isn’t automatic. Even more strangely, they don’t have any sort of SLA for their dedicated servers. Linux Hosting World is among the cheapest hosting providers in the industry, though as mentioned above, their quality is somewhat suspect. I’m especially concerned that their high-end products are somewhat lacking in service guarantees, storage, and traffic, but the rest of the packages fit with the pricing. Linux Hosting World doesn’t offer a money back guarantee or a refund of any sort. In fact, they’ve indicated in large font on their website that all refunds are at their sole discretion, which means that if you decide to go with them, it’ll be at your own risk. My experience with their support staff wasn’t great, to be honest. You can reach them via three available phone numbers (U.S., U.K., and India), as well as through a contact form, email, and live chat. However, when I emailed them, it took nearly three days before they finally got back to me on a server setup question, so I can’t imagine what would happen if it were a business-critical issue. Linux Hosting World may be inexpensively-priced, but certain aspects of their service leave much to be desired. At this point, they’re not recommended for beginners until they further refine their operations. Wondering how Linux Hosting World stacks up against other Web Hosting companies? Enter any other Web Hosting company and we will give you a side-by-side comparison.